Your best opportunities for making connections with a new contact lie in letting the other person do more of the talking. Your Verbal Business Card: Do you have one prepared for? Introduce your business without coming on too strong. Introduce yourself in a way that people will want to ask you for more information. • Think of verbs like teach, create, design, reorganize, manage, develop, establish, boost, generate. Use one of these verbs to describe what you do. It makes you more of an innovator and an expert in your profession. • People love numbers…numbers sound like statistics, and statistics are real. • Numbers carry remarkable credibility that descriptive words don’t. • Numbers can generate a little anxiety. • We judge ourselves by numbers all our lives. Age, weight, income — we’re all either on the right or the wrong side of 30. • Numbers create urgency, and urgency prompts action. • What kind of results do you produce. • How many? In how much time? How often? • These percentages are extremely useful to drop into the conversation. • They make your results that much more believable. • This is the most important part of the 30-second message. • This is where you speak of the value you offer your clients. • Tie that value to the deepest needs people have — more money, better relationships, or better health. • Tell me your greatest success stories! 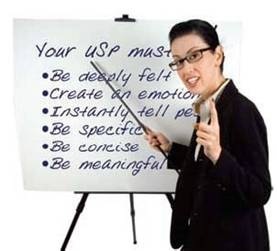 • What is your Unique Selling Proposition (USP)? • Things you do well… better than anyone else. The best memory hook is one that you can use in many contexts. • It should work in a pure word-of-mouth setting, as when you are attending a meeting of a networking group. • It should work on your business card, on your letterhead, your calendars, your giveaway pens (another reason to keep it short), even your print ads. • Of course, networking opportunities are one of the most cost-effective forms of advertising. • The problem is, that most people don’t know how to stand out in the crowd at these of events. • memory hooks have a distinct edge over their competition..
• It is critical to prepare PRACTICE and master a ‘verbal business card’ to create interest with your response. Once someone has indicated some interest, give them a brief description of what you do and peak interest even more. …can do it in time or cost? When do you do what you do? Where do you do what you do? Practice it, Practice it, Practice it. Good hooks are memorable, descriptive and short. Use words that paint pictures. Ideally, you should deliver a different from time to time. Itself. Also what is a good referral for you. 4. The summation. In one or two short sentences, reiterate what you have just said, stating the reasons to act now! Road rage, careless driving, swerving cars: these may all be things you encounter during your normal commute. And the thought “This state has got to have the worst drivers!” may cross your mind from time to time. It’s time to update our findings with the latest driving statistics and ask once again, “Which state has the worst drivers?“. Keep in mind that not only are bad drivers aggravating and dangerous, but they contribute to increased auto insurance premiums in your State! The rankings are based on statistics pulled from several sources, including the National Highway Traffic Safety Administration, the National Motorists Association, and Mothers Against Drink Driving. We translated all of this information into one Total Score: the higher the score, the worse off the states were. For example, the state with the most Careless Driving, Florida, got a 51 on the scale (District of Columbia is included in the rankings). The higher the score in each category, the worse the drivers, and the higher your state’s car insurance rates could be. North Dakota was not in the “Top 10″ in our previous edition, but they’ve dropped three places with the latest statistical updates. They kept their Ticketing Rate low, but increases in the Drunk Driving and Fatality Rate categories leaving them with a lot of room for improvement. Montana maintained the worst fatality rate per 100 million miles traveled (this year ranked 51 because we included the District of Columbia), and received a worse Drunk Driving score than last time. What saved them from a lower overall score? Their rating of second best when it comes to likelihood of getting a ticket. North Carolina’s rankings start out just above the average, but receiving Top 10 finishes in both Ticketing Rate and Careless Driving mean they’re five spots higher than their previous position. The biggest jump in their ratings came from the Careless Driving category – 13 spots worse than our last measurement. Missouri has done well to improve from it’s previous #2 finish, relatively speaking. They have the same total score, but other states have gotten relatively worse. Missouri showed significant improvement in the Careless Driving category, but finished too near the bottom for Failure to Obey. Florida has struggled in both the Careless Driving and Ticket Rate, but slight improvements in the Fatality Rate and Failure to Obey categories help improve their overall rank. It’s worth noting that their Drunk Driving rating dropped from 7th to 18th. Remember – lower ratings are better. Alabama just managed to stay out of the Top 5 last year, but a change in Careless Driving ranking from 7th to 36th in the nation really hurt them. They have improved or stayed the same in every other category, except for Ticketing Rate. Texas has improved it’s overall ranking after coming in 3rd last year, but once again, it’s mostly a matter of the other states getting worse. Their Drunk Driving ranking dropped 16 places to 47th overall. Improvements (however slight) were made in the Fatalities Rate, Failure to Obey, and Ticketing Rate categories. Mississippi is the biggest surprise in the Top 10, having come in 23rd in our previous edition of this study. Major increases in Failure to Obey (3rd to 44th) and Drunk Driving (10th to 30th) make up the bulk of the difference. The change in South Carolina’s Careless Driving rating from 3rd best to 50th was enough to bump them from 11th overall to the number 2 spot. Their Drunk Driving rating also was a cause for concern, increasing from 30th to 49th in the US. South Carolina can take some consolation in their improvement in the Failure to Obey category. Louisiana drivers once again have the dubious honor of “Worst in the United States”. Finishing in the Top 5 for three different categories (Failure to Obey, Ticketing Rate, and Careless Driving) means they’ve finished #1 for the second time in a row, 5 points higher than South Carolina overall. North Dakota wouldn’t have made the Top 10 without ranking as the second-highest in Drunk Driving. In fact, 10 of the 15 states LEAST likely to give you a ticket ranked in the top half of offenders for Drunk Driving! You might not want to hear it , but perhaps knowing that they’re more likely to get a ticket helps deter drunk drivers. Be responsible – don’t drink and drive. It only takes a split second to ruin someone’s life, including your own. The best that any of our Top 10 states finished in either of these categories was 25th, with all but Missouri being in the bottom 20 in both categories. This connection between Careless Driving & Fatality Rate should be even more reason for drivers to put down their cell phones, and keep their eyes on the road. Of the 15 states with the best drivers, only 4 ranked in the bottom half for Careless Driving, meaning they were keeping an eye on the road ahead and their surroundings – NOT on their cell phones. The bottom line: Paying attention makes a big difference, and saves lives. If you want to be a responsible driver, get rid of the distractions and focus on your driving. For the New Year - Time to Review Your Policies!